Laurie Dodge joins the podcast to talk about The Junior League's mission. 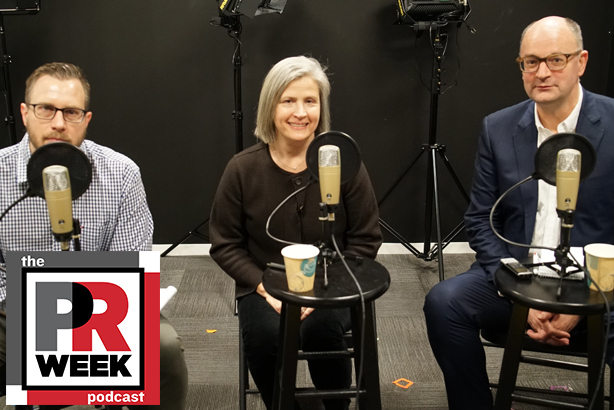 Laurie Dodge, chief brand officer of The Junior League, joins PRWeek's Steve Barrett and Frank Washkuch to discuss some of the work her organization does for women in different communities. The group also analyzes Super Bowl LIII ads, moves for Kathryn Metcalfe, Caryn Marooney, Michael Gonda, and Luca Penati; President Donald Trump's State of the Union address; and the big Davos theme of companies acting with purpose.